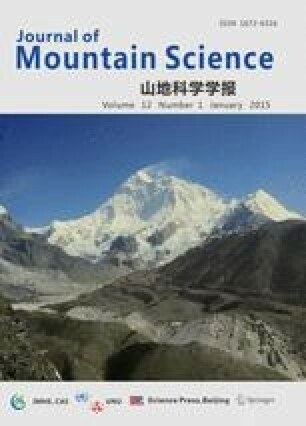 The article is based on collection of small terrestrial mammals (Soriculus nigrescens, Episoriculus caudatus, Neodon sikimensis, Alticola stoliczkanus, Niviventer eha and Ochotona roylei) collected in the Barun Valley, east Nepal in the pre-monsoon period of 1973. Zoogeographic and ecological characteristics and altitudinal stratification of these species are analysed, depending both on abiotic (geomorphological and climatic) and biotic (vegetation, and human presence and activities) factors. All the captured mammals were examined for ecto- and endoparasities. Infestations of Trombiculid mites and Ixodid ticks were tightly linked to the local habitat where these ectoparasites must survive during their non-parasitic phase. Analysis of their occurrence completes the reconstruction of migration routes during the expansion of small mammals into the Barun Valley and the exacerbating influence of human activities (summer pasturing, mountaineering expeditions and trekking parties). An indicator of anthropogenic influence was the occurrence of synantropic flies. The potential medical importance of these findings is discussed. It is assumed a possible occurrence of arboviruses transmitted by ticks and also rickettsioses (transmitted by ticks and chigger mites). As far bacteriological infections, plague cannot be excluded.